Only the best for your guests ! 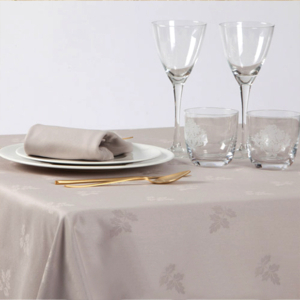 The elegant tablecloths with impeccable design, using fine fabrics as Damask and Satin Plain and Jacquard, with geometric and floral patterns. Made of dimensional stable fabrics, in various blends: 100% Cotton, Policotton, 60% cotton, 40% polyester or 100% polyester with the mass/square meter from 200gsm to 280gsm, the tablecloths are defined by the softness, lustrous effect and very resistant to intensive laundry. 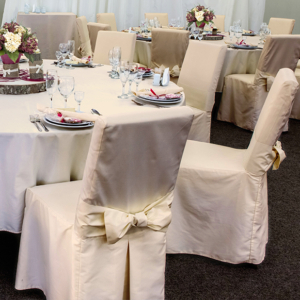 The collection includes Tablecloths, Napkins, Runners, Skirts, Chair covers, all elements to complete an outstanding atmosphere in your ballroom and restaurant. All products can be manufactured based on the customer’s requirments.